You’ve found your Dream Home and you’re ready to move! But what starts out as an exciting transition to a new home, city, or state can quickly turn overwhelming if you lose track of important details along the way. 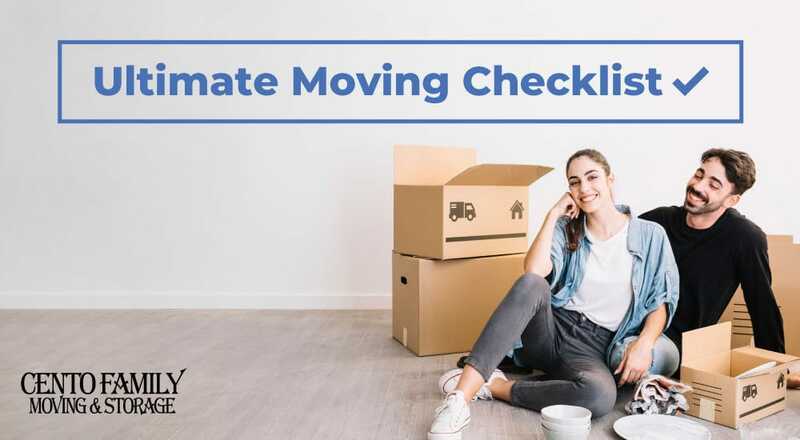 That’s why we put together this moving checklist to keep you on track throughout the moving process. We’ve allotted eight weeks from start to finish, but if you have more time than that, go for it! There’s plenty that can be done way in advance, so you’ll have less to do as the deadline approaches. And if you don’t have eight weeks, be sure to check out our article on last minute moving tips. 1. Create a moving binder. This is where you will organize and store all of the information and paperwork related to your move—from moving company quotes to your moving checklist. 2. Create an inventory list. Walk through your home and list the furniture and other items that will need to be moved. You don’t need to list every single book or photograph, but do include major pieces of furniture and a rough estimate of the room’s contents. Make a note of anything that might require specialty movers (like pool tables). 3. Research moving companies and collect quotes (make sure all of them are licensed and insured). Select at least three different companies and have a budget in mind. 4. Choose a moving company (and any specialty movers for pool tables, valuable art, etc.). Be sure to discuss in detail the services you want them to provide: just packing, just moving, or both. Don’t assume that the movers know what you expect. 5. As soon as you have a moving date, clear your schedule. Arrange to have the time off work and clear your calendar of any social obligations. 6. If you’re moving long distance, find a new doctor/dentist/specialist(s) and transfer your family’s medical records. If you have pets, find them a veterinarian and have their records transferred as well. 7. If you have kids, find a new school and transfer school transcripts. 8. Talk to your insurance agent about your level of coverage. See if any additional policies are needed due to the move or if moving insurance is available beyond the moving company’s coverage. 9. Pre-arrange furniture so you know where everything will go in the new house. This makes moving in a little less stressful, since you’ll be able to put everything down right where it will stay. You can either use a room arranging software or go old-school with graph paper. If possible, measure the doorways and rooms (in both old and new homes) to see if your furniture will fit. 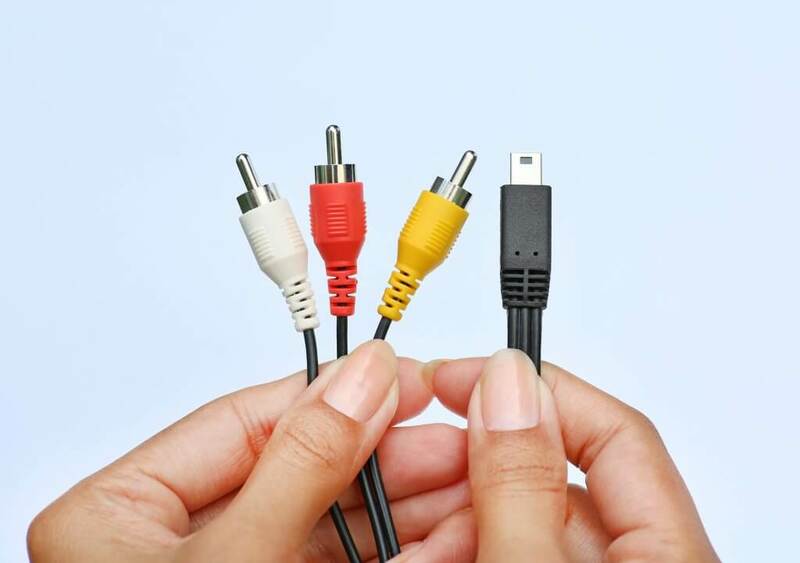 It will save you a lot of headache on moving day. 10. Educate yourself on your new neighborhood. Even if you’re staying in town, your new neck of the woods will have different grocery stores, gas stations, and restaurants nearby than your old neighborhood. Make a list of your new places of interest and include it in your moving binder. 11. Schedule your closing dates on different days, so you’ll have time to start cleaning and making repairs in your new house before you move in. 12. Make travel arrangements if moving long-distance. Whether you’re flying or taking the kids on a road trip, start planning that now. Include pets, if you have them. 13. Declutter your house. 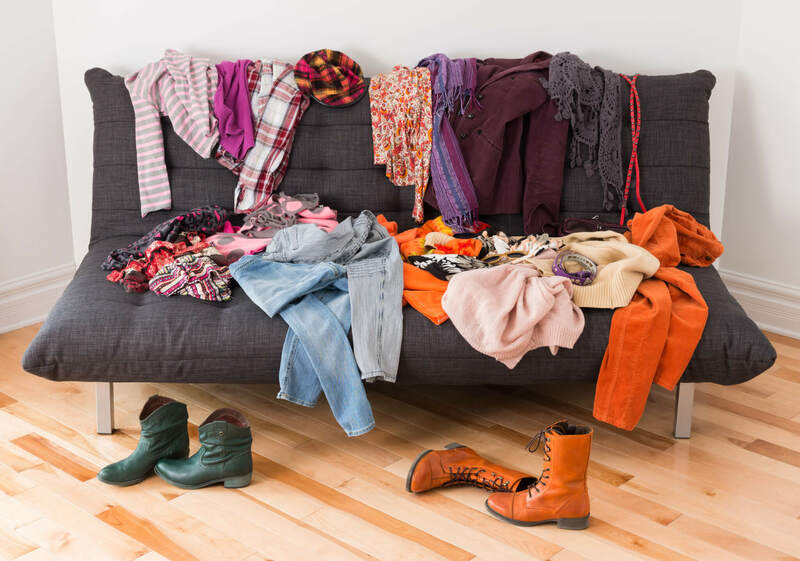 It can take a while to go through your belongings (and you definitely don’t want to pay to transport anything you don’t even want), so start the decluttering process as soon as you can. Sell, donate, or responsibly discard whatever didn’t make the cut. 14. Request change of address kit and notify important parties of your new address. 15. Contact your utility companies (gas, electric, water, cable, internet/telephone, and trash collection) to cut off service to your old home and turn it on at your new one. 16. Find out if your new apartment has any moving day requirements. Some complexes may require you to reserve use of the elevator, get a permit for a moving truck, or park the truck in a designated space. 17. Purchase moving/packing supplies if the moving company won’t be taking care of this for you. But don’t forget about the supplies you have already. Suitcases work great as containers and old shirts and linens are a cheaper (and more environmentally friendly!) replacement for packing peanuts. 18. Research best packing tips. Before you start packing, get advice from the experts on the best way to pack up each room in your house. 19. If you have gas appliances that you’ll be taking to the new house, contact a technician to disconnect them for you. Your moving crew is not trained in this and you should never attempt it yourself. 20. Have your valuable objects appraised (in writing) and keep the appraisal in a safe place. 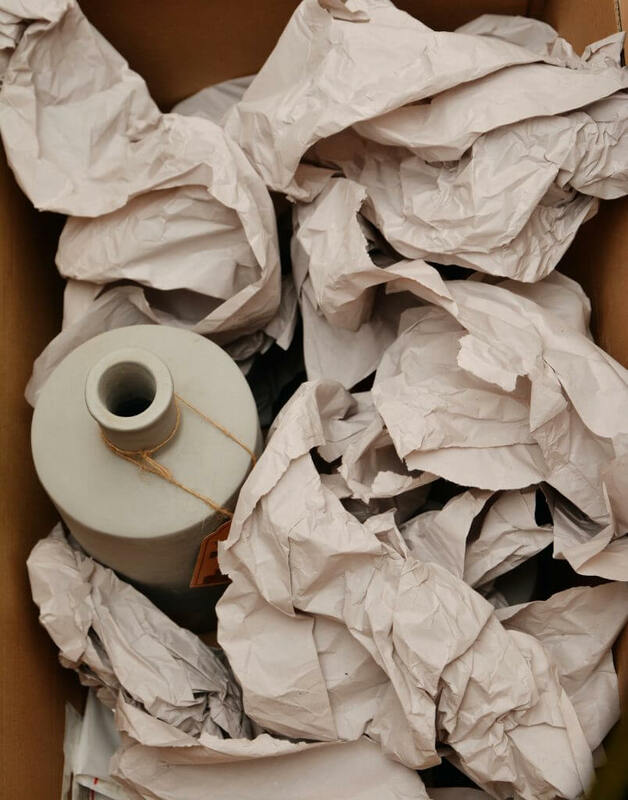 Although you will not be placing these items on the moving truck, a written appraisal is always a good idea. 21. Dispose of everything the moving company won’t move or figure out what to do with it. No, they’re not being picky. There are certain things that moving companies, by law, are not allowed to move. This includes flammable materials, perishable food, and (if you’re moving across state lines) plants. 22. Start packing rarely used items. Anything that won’t be needed in the next 6 weeks can be packed now, or even earlier. It also helps to designate these boxes as “UNIMPORTANT” or “LAST TO UNPACK” so you can get to the crucial stuff first when you’re unpacking. 23. Take photos of your electronic setups. You’ll be happy to have a diagram when you’re setting it up in the new place. 24. Back up your computer files. 26. As you pack, update your inventory list. You might come across valuable items you forgot to include in the first draft. If you have significant changes, update the moving company so they can be sure to show up with the proper sized truck. 27. Label boxes with their destination, not their current location. You can even color code and number boxes (indicate these on your inventory list) to make move-in that much easier. 28. Find and schedule new home service vendors in your new neighborhood. You don’t want to fall behind on landscaping or pool service and it’s nice to have a plumber’s number handy in the event of an emergency. 29. Start to use up the contents of your fridge and freezer. It’s not easy to transport perishable foods, even on a relatively short trip (and your movers can’t do it for you). So start working through those frozen pizzas now! 30. If you’ll be driving long distances, have your vehicle(s) serviced to keep them in tip-top condition. If you’ll be shipping your car to your final destination, empty it out first. 31. Line up pet and child care for moving day. It’ll be easier on everyone if they don’t have to worry about stepping on tiny toes and tails. 32. 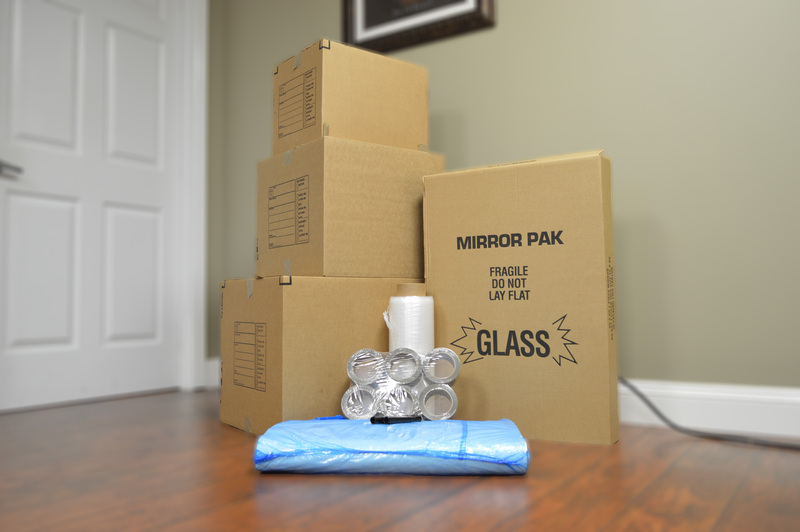 For long-distance moves, clean out your safe deposit box as well as any storage units you may have. Don’t forget to pick up your dry cleaning, return any library books, and refill important prescriptions. 33. Perform minor home repairs in your rental to make sure you get your deposit back. 34. Confirm plans with the moving company and update them on any last changes to your inventory. 35. Clean rugs and curtains and leave them wrapped when they return. This is the easiest way to get them moving-day ready. 36. Confirm that your utilities are set to be turned on in the new house. 37. If traveling long distance, confirm travel arrangements for pets and family. If driving, prepare snacks and entertainment for the road. 38. Disassemble furniture. You can live without it for a few days and it will make moving day so much smoother. To prevent losing the hardware, keep it in a labeled plastic baggie taped to the frame. Of course, if you hired Cento Family Moving, you can skip this step; we include disassembly and reassembly of furniture at no extra charge! 39. Pack an essentials kit for moving day and your first night in the new house. Your kit should include a change of clothes, toiletries (don’t forget the shower curtain! ), toilet paper, phone chargers, pillows and sheets, basic cleaning supplies, paper plates and utensils, snacks (for your pets, too! ), a first aid kit, and anything else you don’t want to dig around for on moving day. 40. Schedule cleaning for the new and old homes. Professional cleanings are easier (and therefore cheaper) when there’s no furniture or personal items to work around. 41. Clean your outdoor furniture. Otherwise, it will transfer all of that dust, dirt, and pollen onto the clean items on the moving truck. 42. Withdraw cash for unexpected expenses and movers’ tips. 43. Move packed boxes to a convenient location, such as in the garage or an easily accessible room. This will make moving day quicker and easier. 44. Prepare the appliances to be moved. Empty all appliances, defrost your fridge, and remove TVs from the wall. You may need to hire a technician to disconnect the fridge, dishwasher, and washing machine from the water sources (discuss this with your mover beforehand). 45. Make sure all items are packed. Decorative items, pictures, and lamps must all be packed in boxes before your movers arrive and all appliances to be moved must be unplugged. Remove the light bulbs from any lamps. Take care of any other last-minute stuff while the movers are doing their thing. 46. Set up a snack/drink station for your family and the moving crew. Coffee is a nice thing to have first thing in the morning; you should also have some water and grab-and-go snacks for later in the day. 47. 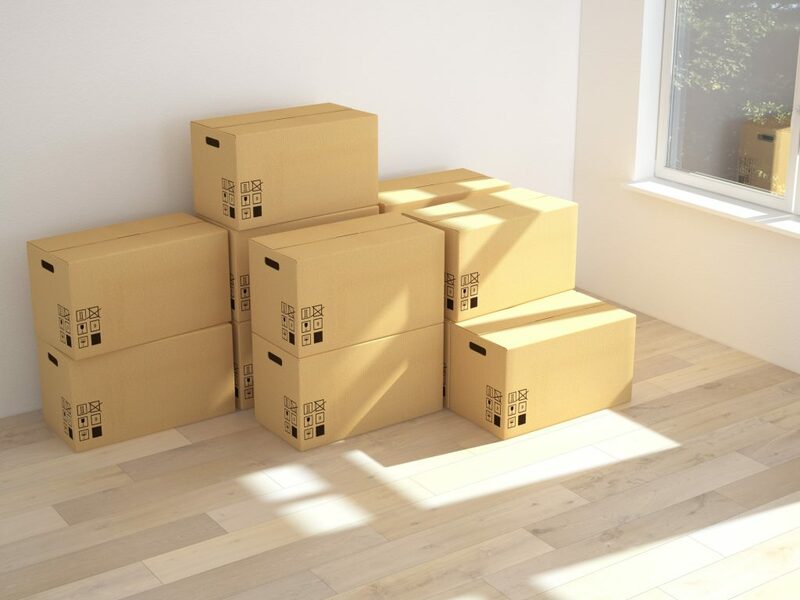 Let your movers know which boxes should be unpacked first. Those will be the last boxes loaded onto the truck. 48. Make sure your home(s) is protected from moving-related damage. 49. Keep valuables with you, including financial and legal documents. 50. Shut off water, lights, and A/C before you leave. Lock windows and doors. 51. Check for any items that may have been left behind. 52. Take a picture of each room in your house so you can prove it is in move-out condition. 53. Take the movers on a quick tour of the house so they know which room is which (and where to put those perfectly labeled boxes). 54. Clean if not done already. 56. Verify mover’s bill of lading with your own inventory list and get signatures from all parties. 57. Pay and tip movers if you were happy with their service. 58. Now that you’re officially moved-in, make beds and set up bathroom areas first. Follow up with the TV, if you have the time and energy. These creature comforts will help everyone settle in right away. 59. Order a pizza or your favorite take-out for a stress-free dinner. You’ve earned it! 60. Go grocery shopping within the next couple of days. 61. Unpack a little each day, in the reverse order that you packed it. Start with things you use most frequently, handling the seasonal and rarely used things last. 62. Leave your moving company a review. 63. Explore your neighborhood and make new friends. Enjoy life in your new neck of the woods! Of course, this wouldn’t be a helpful checklist if you couldn’t put it in your moving binder. That’s why created a printable moving checklist so you can keep track of your progress. Planning An Upcoming Move? We Can Help! Using a moving checklist can reduce much of the stress that comes from moving, but just as important is hiring the right moving company. At Cento Family Moving & Storage, we treat every family we move as if they were our own. 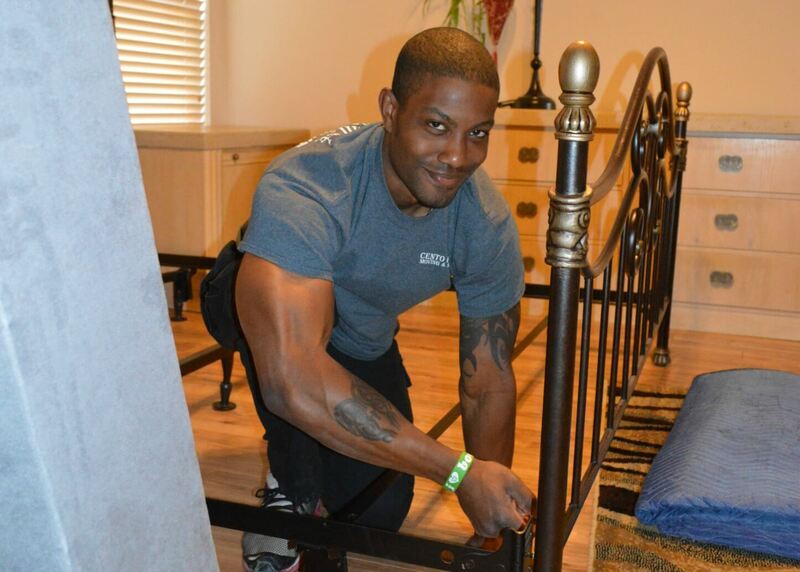 Our professional, experienced crew members can handle any move, whether you’re moving to Maitland or Madison. Don’t get scammed by another fly-by-night moving company. 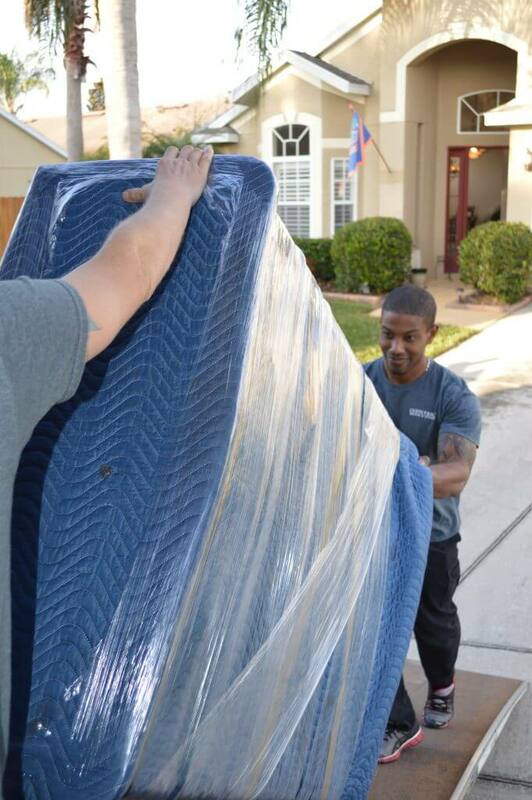 We’ve been operating in Orlando since 2013 and our movers have taken families just like yours all over the country. Contact us today for a free quote.